Fair Trade USA, in response to organized pressure, has revoked the fair trade certification for melons sold in the US produced by Irish fresh fruit giant Fyffes on their Suragroh plantations in Honduras. 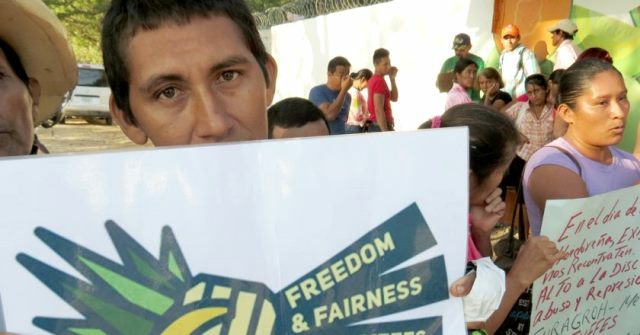 Suragroh-Fyffes workers have faced continuous retaliation for joining STAS, the Honduran union organizing workers on fruit, sugar cane and palm oil plantations. Coordinated efforts by union organizations including the IUF and labour rights advocacy groups succeeded in having Fyffes suspended from the UK Ethical Trading Initiative in September 2017. Suragroh's well-documented record of union-busting however failed to stop Fair Trade USA from certifying the company's melons for sale as fair trade products in April this year, just in time for the harvest. A November 2018 open letter  from national and international union and civil society organizations called on Fair Trade USA to revoke certification, pointing out that "Fair Trade USA should never have certified Suragroh-Fyffes in the first place given the overwhelming amount of public evidence that verifies the companies' consistent engagement in discriminatory practices against union members. By displaying the Fair Trade USA label on products coming from Suragroh, while workers are being intimidated and union busting is occurring, Fyffes is knowingly misleading its consumers. By allowing this to happen, Fair Trade USA is complicit in the abuse of Fyffes workers and enabling further violations." The IUF and its Latin American region have given ongoing support to STAS and will continue to fight for the union's rights and recognition as a fundamental measure of respect for freedom of association.